China lands spacecraft on the far side of the moon. In a first for the world, China has successfully landed a spacecraft on the far side of the moon, the China National Space Administration said Thursday as the nation announced its arrival as a bona fide space power. The landing “marked a new chapter in the human race’s lunar and space exploration,” the CNSA said in a statement. Although China, the United States and Russia have operated robotic spacecraft on the moon before, Chang’e 4 is the first to land softly on the side of the satellite that always faces away from Earth. The geology on this side of the moon is distinctive, with more craters and less evidence of volcanic activity. But it is difficult to explore, because scientists on Earth cannot communicate via direct radio signal with spacecraft in this remote region. The mission transmitted an orange-tinted, high-definition photo of the moon’s lightly pockmarked surface on Thursday. 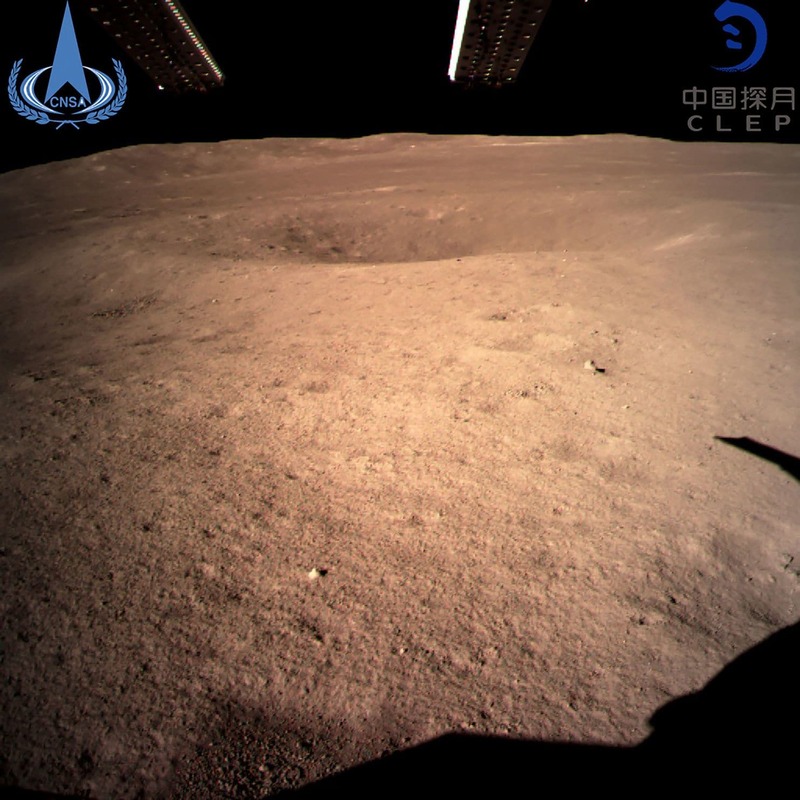 Chang’e 4 is the latest in a series aimed at exploring the moon and paving the way for Chinese astronauts to eventually land on the lunar surface. Its predecessor, Chang’e 3, delivered a rover called Jade Rabbit to the lunar nearside, where it worked for more than two years. In Chinese mythology, Chang’e is the name of a goddess who lived on the moon. The landing demonstrated China’s ambitions to become a space power and scientific force in an era when NASA funding has generally been shrinking as a percentage of the U.S. federal budget. China spends more on scientific research than any nation but the United States, and it launched more rockets than any other country in 2018. “The whole world is raising their game,” said Maria Zuber, a lunar geophysicist at the Massachusetts Institute of Technology. NASA is not currently developing any robotic spacecraft to operate on the moon’s surface. A sample return mission that would explore the same spot as Chang’e 4 has been proposed but never selected for development by the space agency. The agency’s first rover since the Apollo era, the Resource Prospector mission, was abruptly canceled last spring, stunning many scientists. However, in November NASA announced it would begin contracting with private aerospace companies to send scientific payloads to the lunar surface. Those missions could start as early as this year. China is far from the only nation with its eye on the lunar surface. India, Israel and Germany also have lander missions planned for this year, and the Russian and Japanese space agencies aim to send spacecraft to the moon in the early 2020s. There, it is thought that an ancient meteor impact during the early days of the solar system exposed material from the moon’s deep interior. Obtaining a precise date for the event, and probing the primitive rock it revealed, could help solve lingering mysteries about the formation of the moon and the history of the solar system.